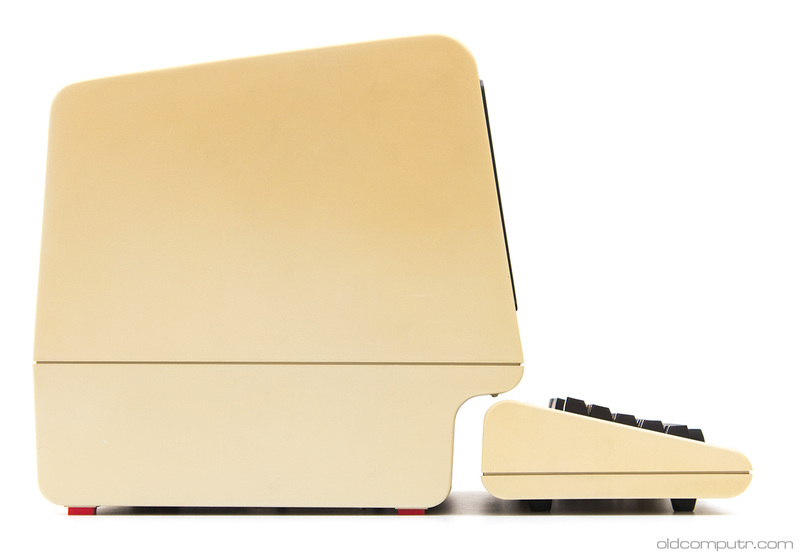 The terminal, after a thorough cleaning and an accurate inspection, turned on without any problems. It was just dusty and dirty. The first item I started to clean was the keyboard. The next picture shows it before and after the cleaning process. I know that I’ve said it before… detaching and cleaning every single key is boring. But it is a manual and repetitive task that frees my mind, I find it quite relaxing, and the final result is always worth the time spent. 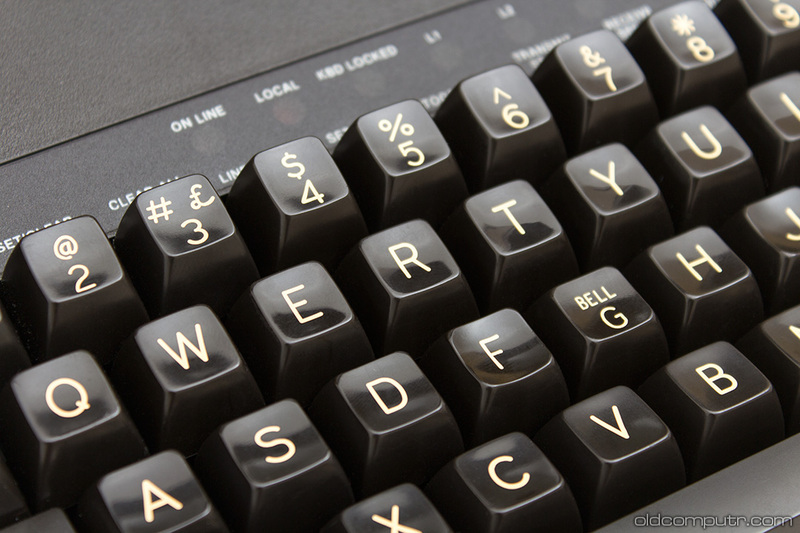 Look at the next photo: beautiful, clean, shiny keys, with that mechanical feeling I sometimes miss on modern keyboards. The next picture shows the detail of the key. 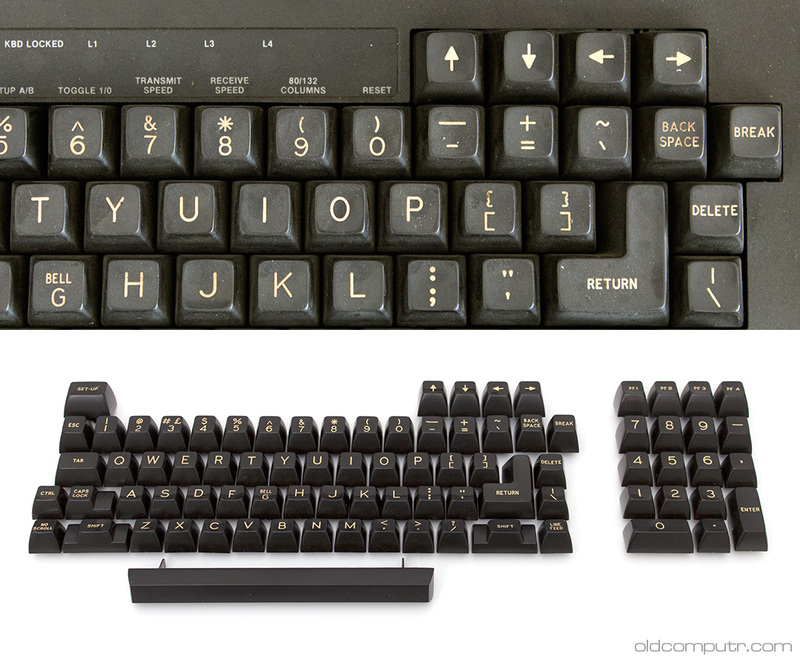 There was no need for a “keycap puller”, the keys came off easily – so easily that I was lucky that no key was lost in all these years. This image is taken from the technical manual I found on the net. After the keyboard I cleaned the main unit. 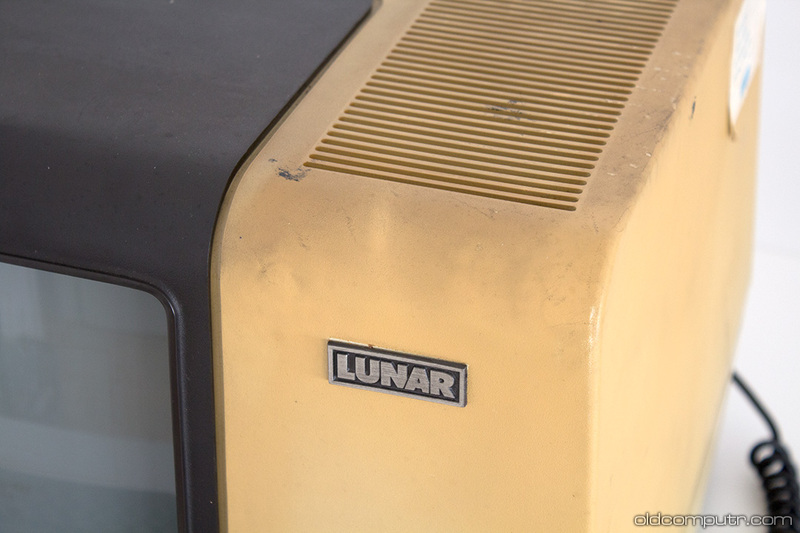 The “Lunar” badge was probably added by the seller or the distributor, but I couldn’t find any information about it. Under the badge you can see the original colour of the case. If you look closely, you can see that the CRT monitor has a ghost image caused by showing the same static text many hours a day for years. 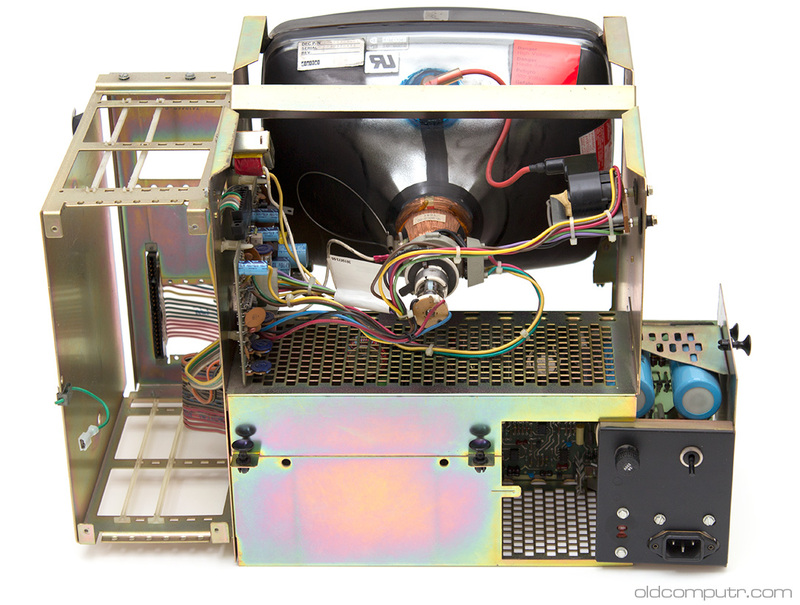 Here’s the teardown picture. There’s a sticker under the keyboard, used to keep track of the terminal settings. In the setup screen that you can see in the first picture there are 4 series of 4 bits: each one sets an option, explained in the manual and summed up on the sticker. The unit was designed with easy reparability in mind. 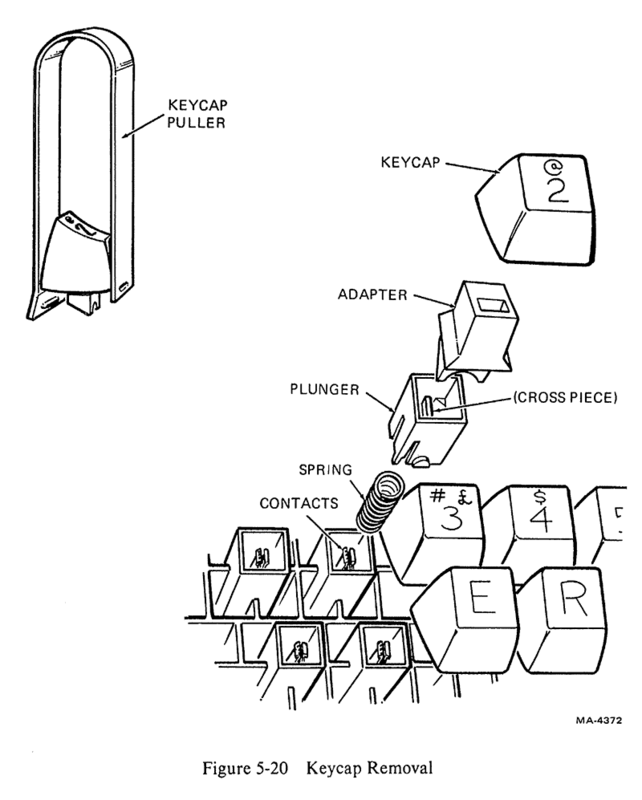 The top and bottom case are kept together with just four clips; a few other clips keep the main unit attached to the bottom case. 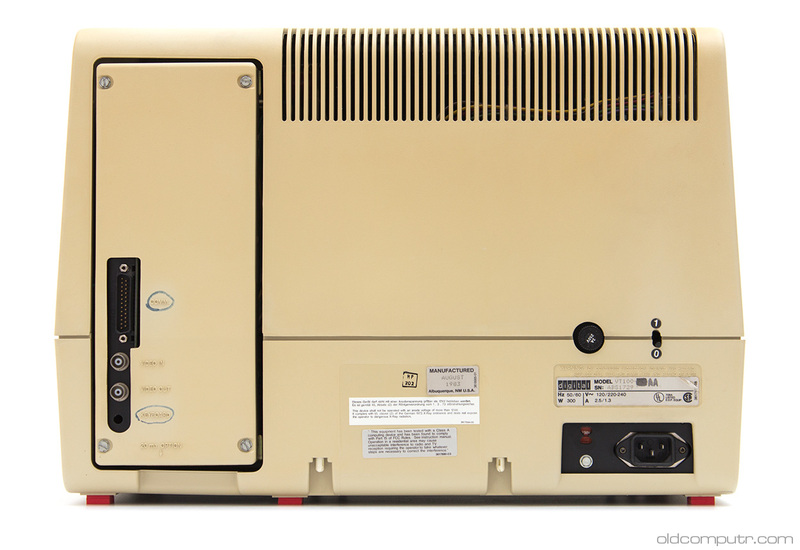 The motherboard and the graphic board can be pulled out by unscrewing a panel on the back. 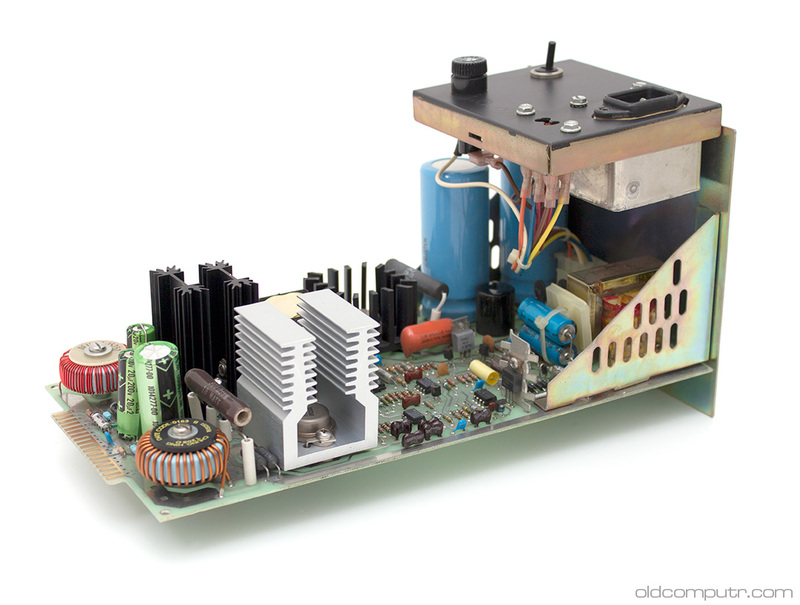 The power supply unit can be pulled from the main by lifting – you’ve already guessed – some clips. 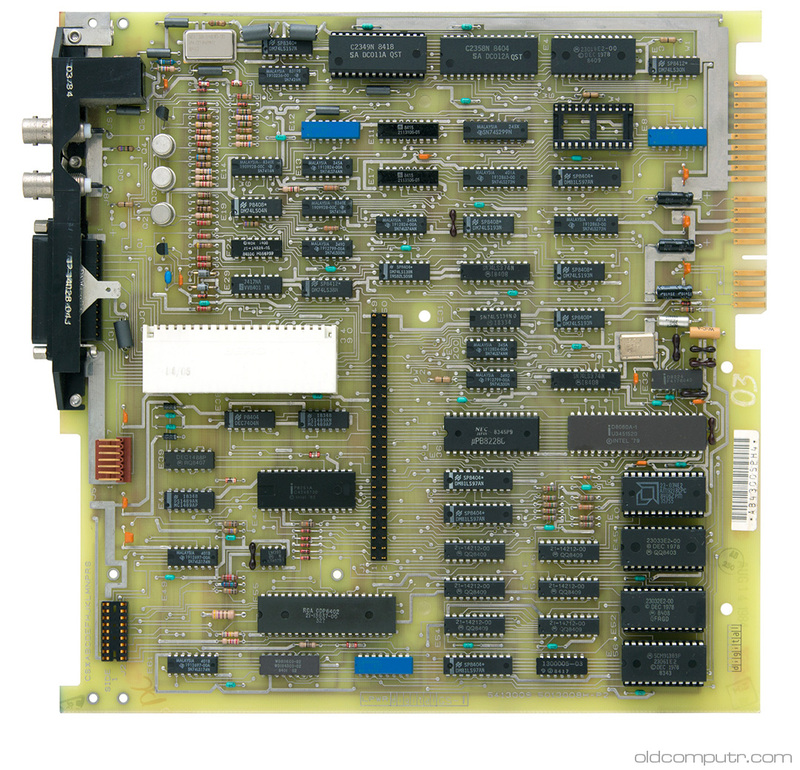 The main processor is an Intel 8080. 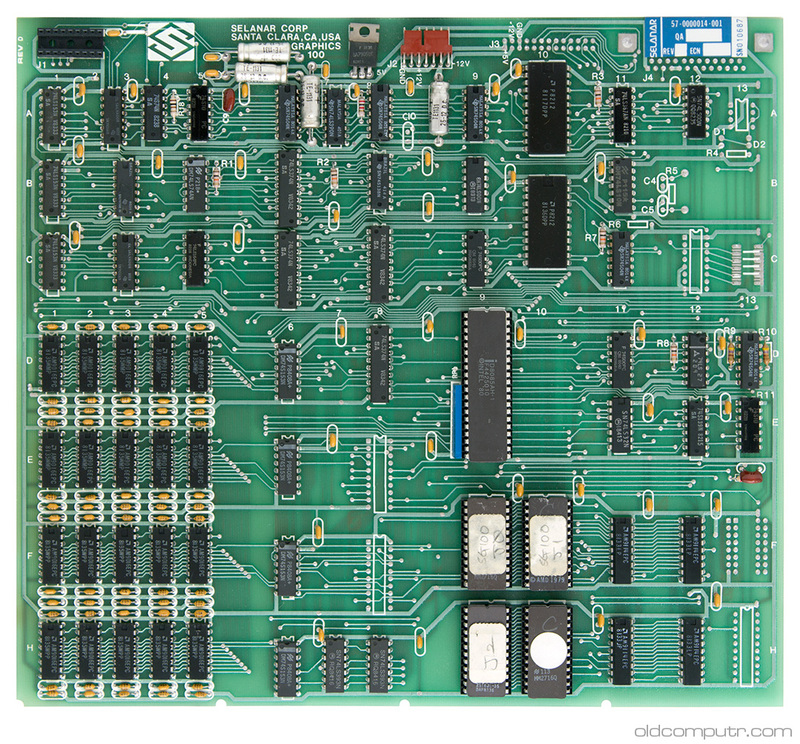 The Selanar Graphics 100 is an additional third party board that lets the terminal show 132 columns on screen and use advanced character formatting. 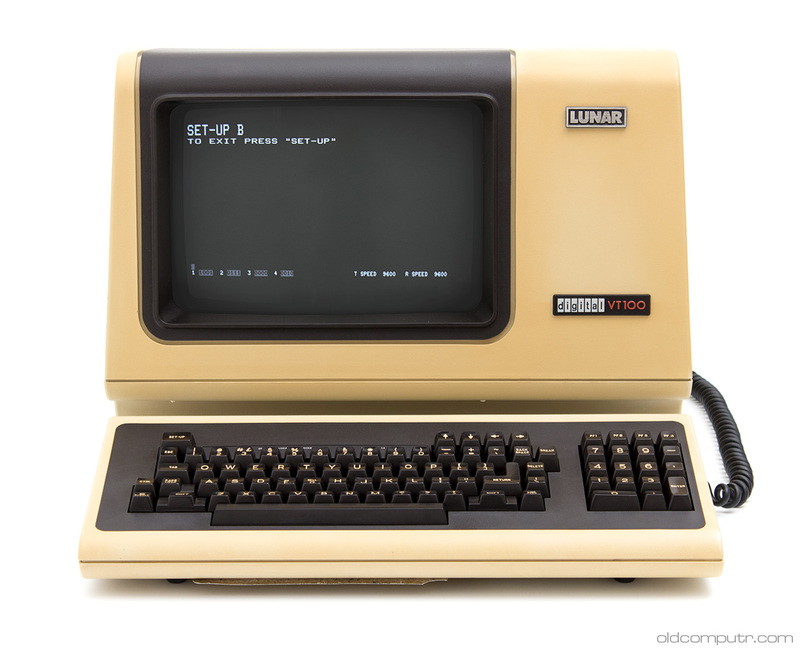 It’s based on an Intel 8085 processor. 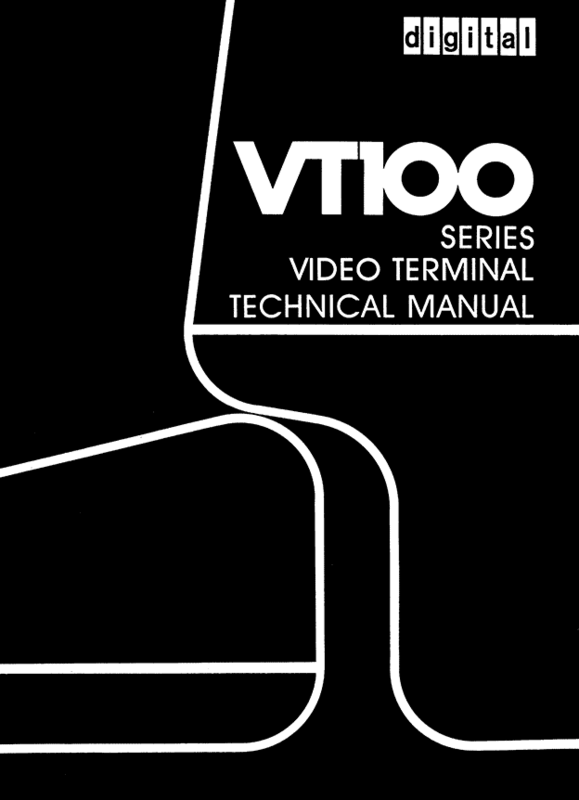 The most useful site I found about the VT100 is VT100.net; you can find the technical manual on the Internet Archive. 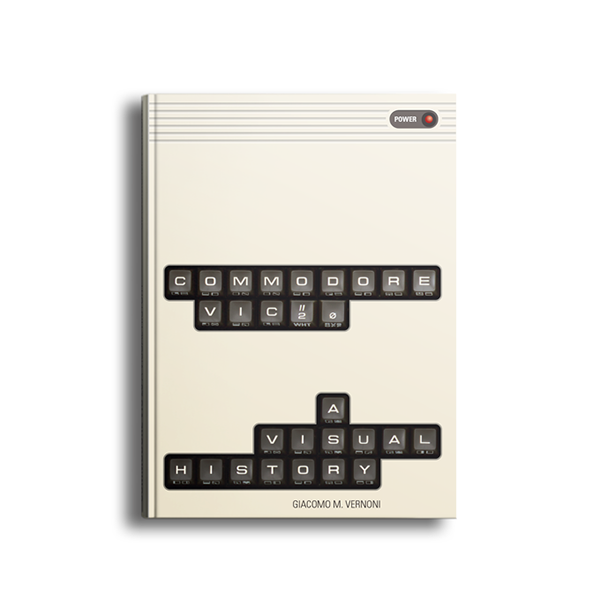 The only information about the Selanar Graphics 100 came from a Google Book scan of Computerword magazine from August 1980. 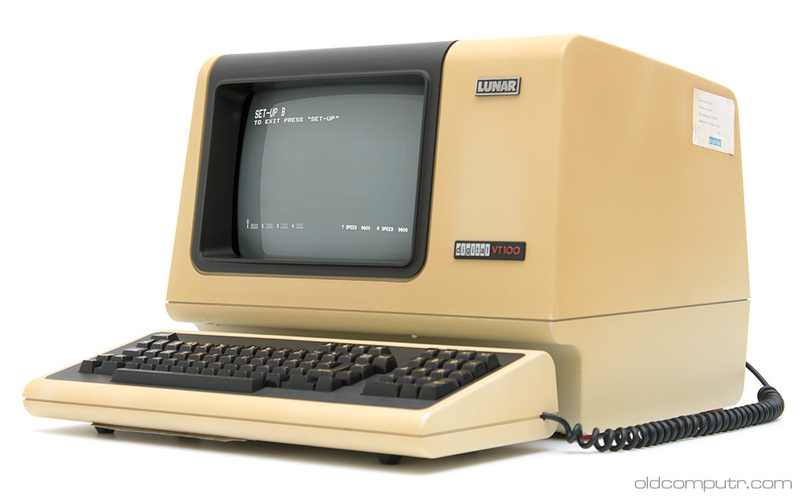 It cost $1195, and on the same page there’s an ad for the VT100 at $1550. That makes a total of $2745, that according to usinflationcalculator.com corresponds to $7926 in 2015. For a terminal!